what is the best way to work, regarding the two pieces, provided they are identical ? what would be the best way to work, if the two pieces were not identical, but vertically symetrical ? Decide if your fabric will be folded in half length-wise, or opened out as a single thickness. Decide if the Front will be right-handed and Back will be left-handed, or vice-versa. You will create one Back pattern piece, right or left, opposite of the Front piece. In Draw mode, create one pattern piece with formulas, from which you create one Detail piece with Seam Allowance tool. In Detail mode, create a seam allowance around waist, side, and middle seams with a deeper seam allowance along the hem section. Label pattern with ‘Cut 2 of Fabric’ in Seam Allowance options. You will create one Front pattern piece, right or left half of the front, opposite of the Back piece. In Draw mode, create one pattern piece for half of the front with formulas, from which you create one Detail piece with Seam Allowance tool. In Detail mode, create a seam allowance around waist and side, with 0 width seam allowance along the center, and a deeper seam allowance along the hem. Label pattern with ‘Cut 1 of Fabric on fold’ in Seam Allowance options. You will create both right and left Back pattern pieces. In Draw mode, create right or left half with formulas, use vertical Flip Tool to create the mirrored points for the opposite half, then connect the mirrored points with lines and curves if needed. Create two Detail pieces, right and left, with Seam Allowance tool. In Detail mode, for both pieces, create a seam allowance for center, waist, and side, with a deeper seam allowance along the hem. Label both pattern pieces with ‘Cut 1 of Fabric’ in Seam Allowance options. You will need to create one pattern piece, which is the full front. In Draw mode, create one pattern piece for half of the front with formulas, and use vertical Flip tool to create the mirror image. Create one Detail piece with Seam Allowance tool. In Detail mode, create a seam allowance around both sides and waist, and add a deeper seam allowance for hem. Label pattern piece with ‘Cut 1 of Fabric’ in Seam Allowance options. Note: These instructions don’t include a waistband or waist facing, a zipper extension, or a pocket extension. After you create the skirt pieces we can discuss how to add these pieces. Hi Susan, we already discussed a few years ago, about your project of using Inkscape for pattern design, it is nice to see you around Valentina! As you can see, we follow the same path. However, you are way more experienced than I am. Thanks a lot for your help! I realized my question may have seemed pretty weird: sewers who are experienced with paper patterns may have wondered why I want to draw two identical shapes. Usually, pieces are labelled “x2” when the sewer has two pieces to cut. The reason why I wanted two similar shapes drawn, is that my aim is to test whether it would be possible to use Valentina as the design tool for laser cutting parametric cloth pieces. Depending on laser power, one may prefer to have two similar paths cut side by side, rather than a single path cut in a folded fabric. A similar situation may occur, for pieces that have to be cut “on the fold” : cutting on the fold makes sense when cutting with scissors (shorter path to cut, certainty that both sides are symetrical…) but it may on the contrary be more difficult when using a laser cutter: this would imply finding the fold axis on the machine, so that it cuts on the right place. Simply placing the fabric and cutting an unfolded piece is more simple and reliable. My experience of using a laser cutter for fabric/cloth crafting made me enthusiastic : cutting is extremely fast, repeatable, and precise. I used the one at my local fablab, which is pretty large and powerful, but it appears a simple table top laser cutter can be built for a few hundreds euros. It is therefore not for everyone, but for people who sew a lot, for themselves or for pro/semi-professional use, it could make sense. Would it make sense to support such a laser cutting use case ? E.g. enabling “Cut X in fabric” to be shown X times on the final layout, or “Cut on the fold” pieces to be displayed unfolded ? We’re currently developing the feature to export layouts into DXF-AAMA format which is recognized by most pre-processing software of CNC machines. As far as layout options, currently we have implemented only the simplest layout scheme. It would be super if you have a C++ programmer friend who has an interest in programming layout options which are optimized for CNC machines. At the moment we have several years of backlogged requests. Wow, I’m surprised you remembered the proof of concept in Inkscape! That library of functions wound up in a lot of different projects all over the world. Crazy. Did you know I developed a full program (without a GUI) in Python? Patterns had objects for darts, collars, etc that were interchangeable. And completely modular patterns which could be combined to create new patterns. And ability to copy, move, join, mirror, etc for layouts. While I was working to put a GUI on it, Roman contacted me and we started working together. So yeah there’s a lot that Valentina needs to get it up to that level, so we need some C++ programmers, who are difficult to find. If you know anybody, we could use the assist. Well, in fact, a long time ago I had programming skills, I’m more a web guy than an executable guy, and even more a HMI design guy than a programming guy, but maybe I could undust my C++ knowledge and help a bit. Is there a chance to get a working build chain on MacOS? Is there a chance to get a working build chain on MacOS? 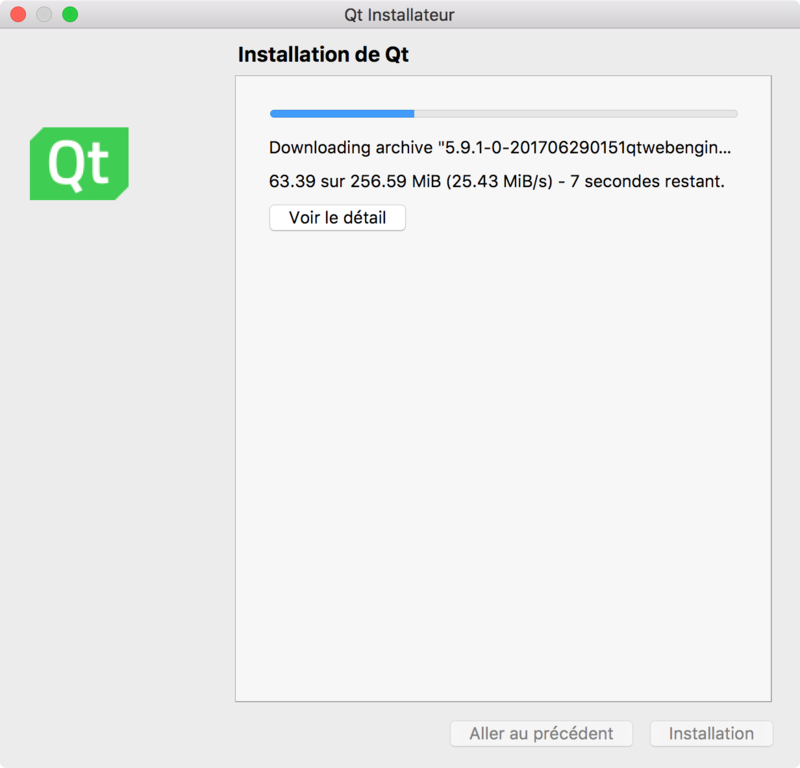 Yes, Qt supports Mac OS X. 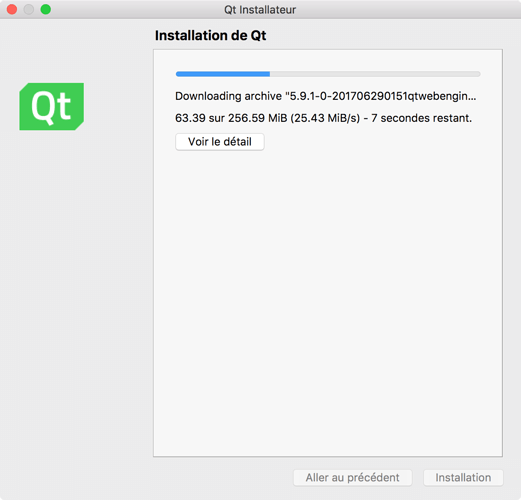 Install Qt 5 and possibly TortoiseHG/Mercurial and you are ready. I’m already in the process of installing it, but thanks!